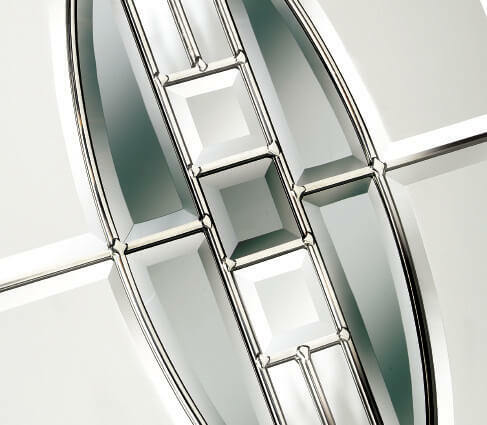 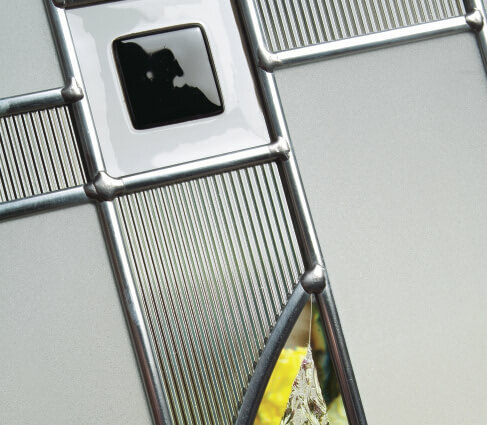 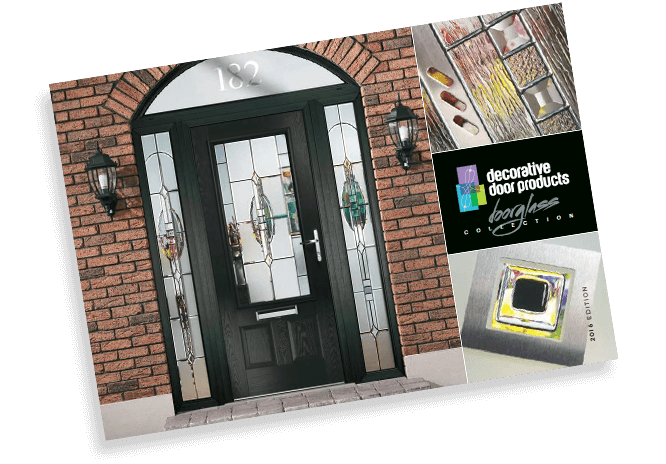 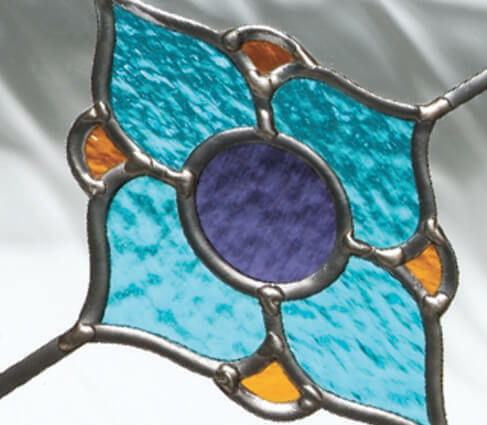 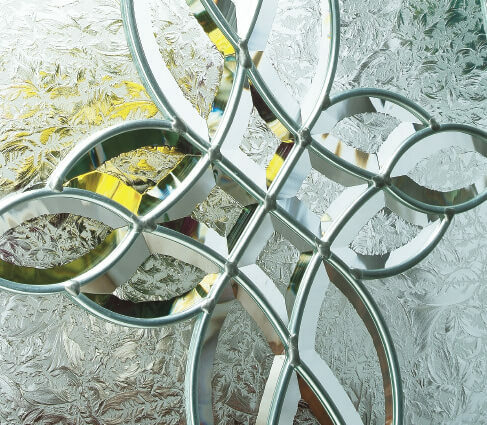 Decorative Door Glass | Lead, colour, bevels, patterns, tiles and resins. Glass adds style and personality to a door. 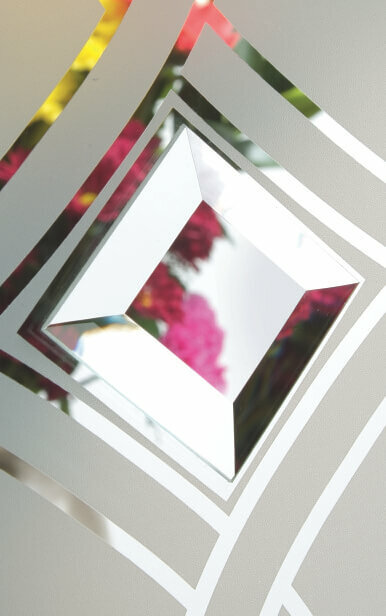 That’s why we’ve created the widest range of decorative glass units in the UK, which we export around the world as well. 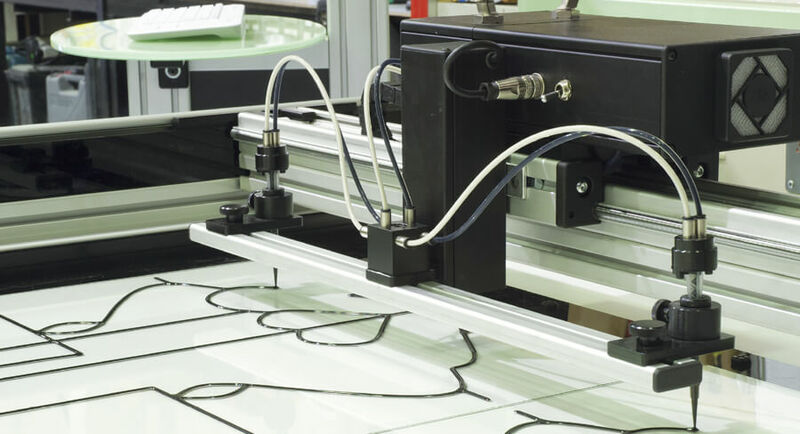 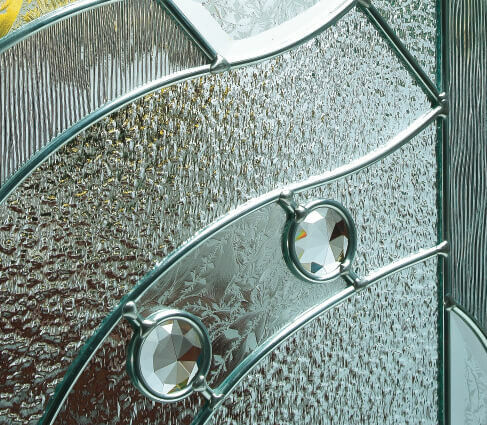 With more than 30 years experience in decorative glass, we have a vast bank of materials, techniques and expertise at our disposal. 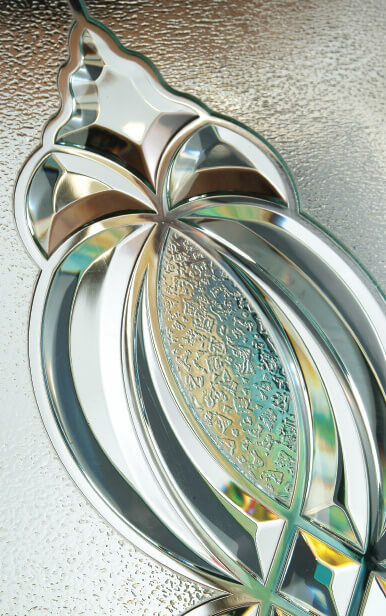 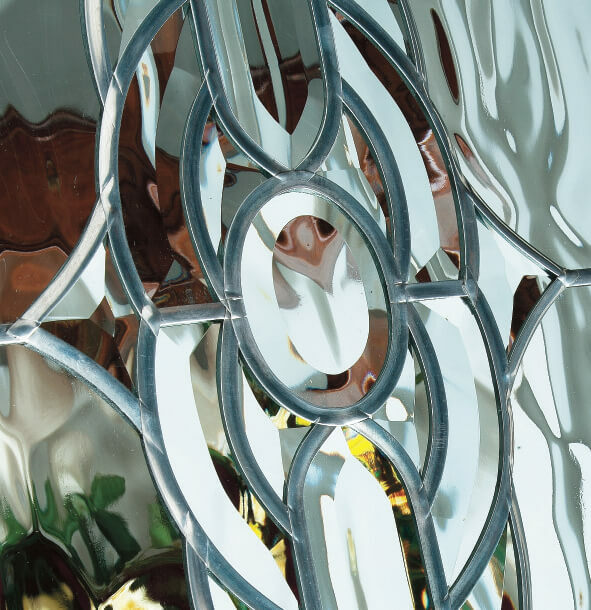 That has allowed us to develop a diverse collection of decorative door glass to suit every taste, style and budget. 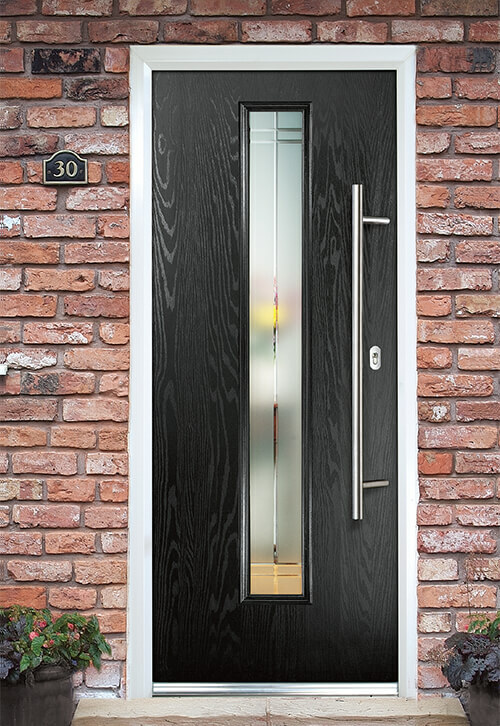 From traditional to modern, complex to understated and clean, our range of door glass incorporates many elements in even more combinations. 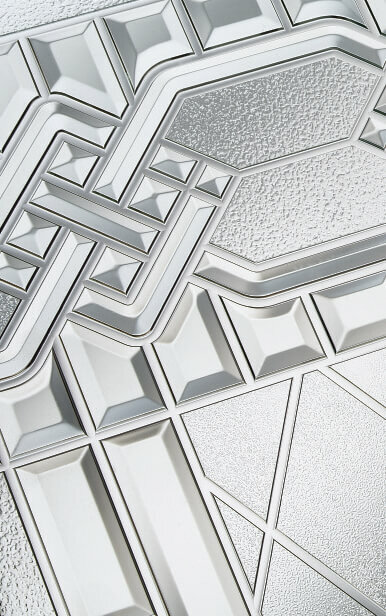 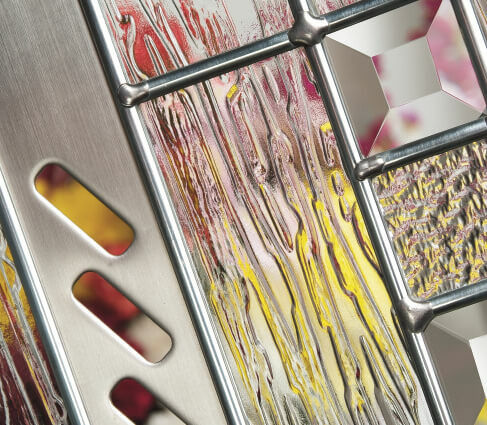 Lead, colour, bevels, patterns, tiles and resins – we have designs that use them all. 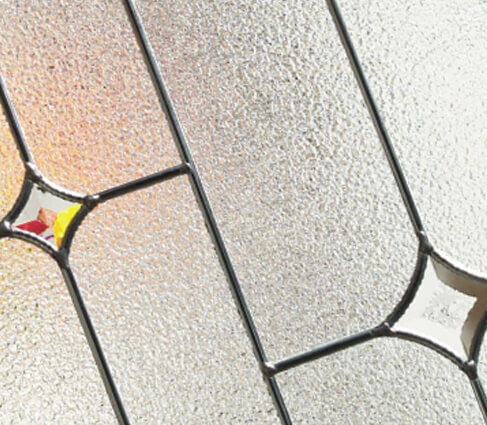 On top of that, most of our range is suitable for doors, sidelights and toplights, in standard and bespoke sizes. 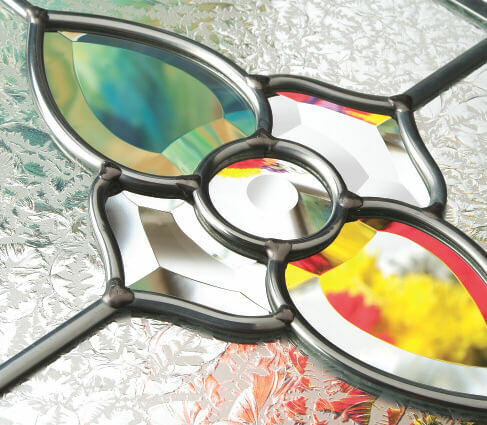 We can even create custom designs for you with fast turnaround across the board. 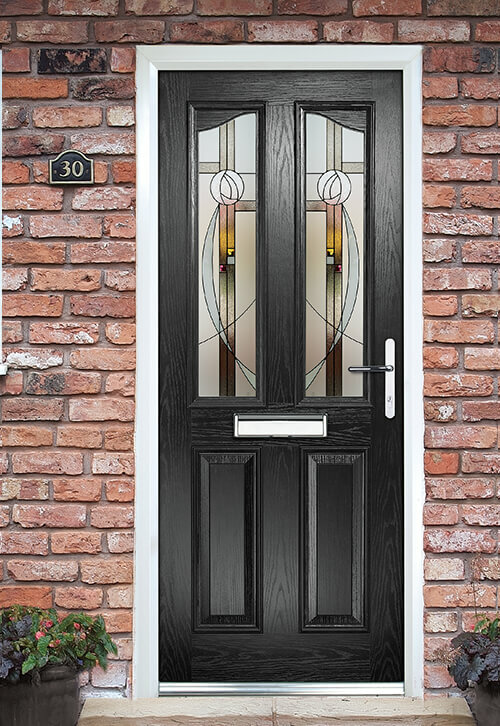 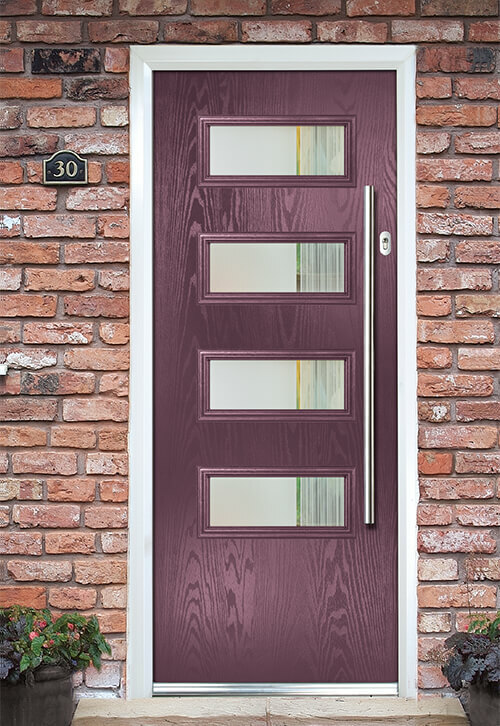 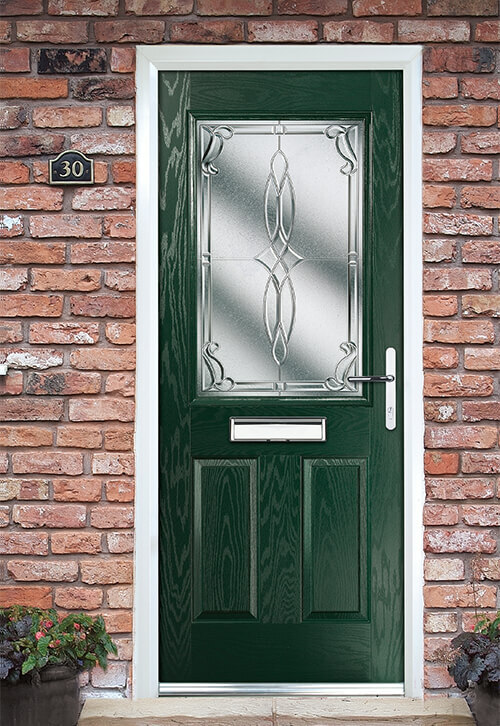 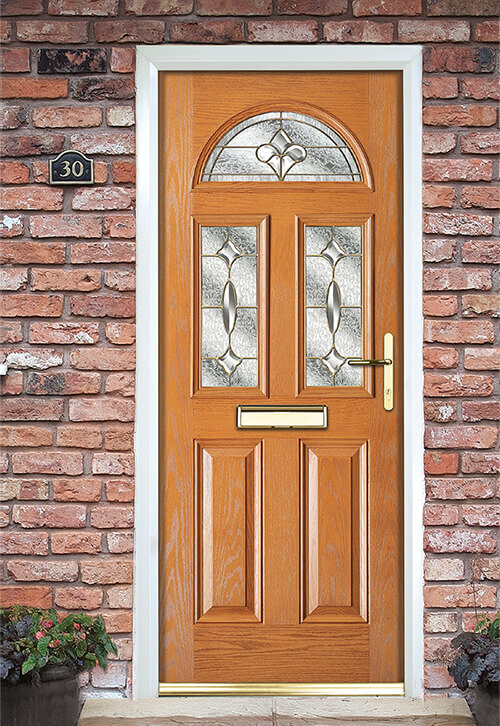 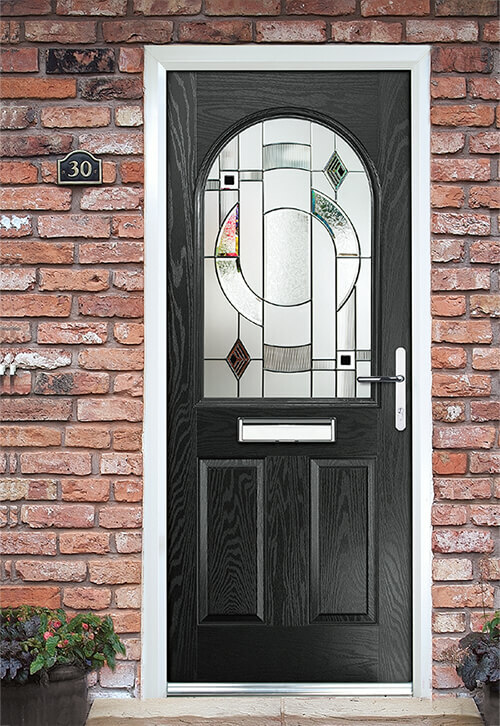 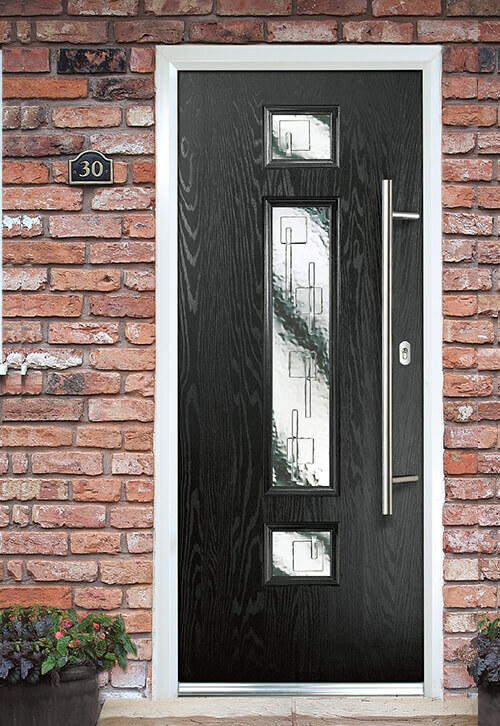 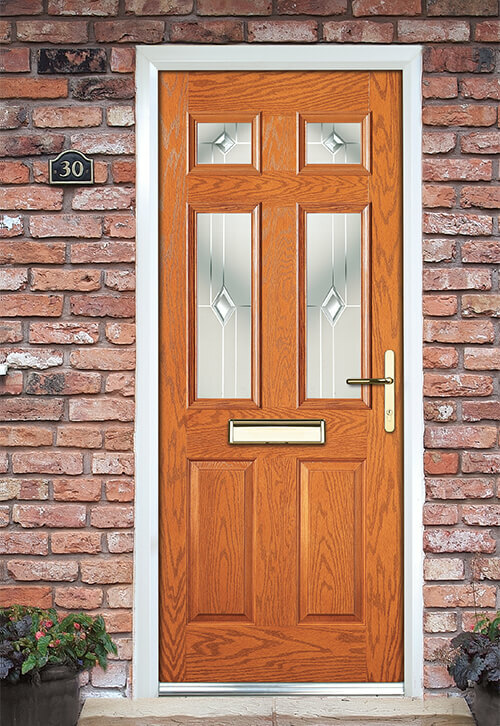 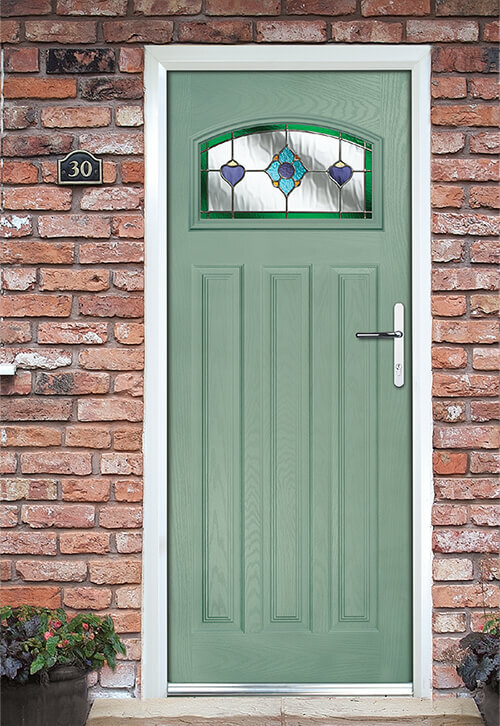 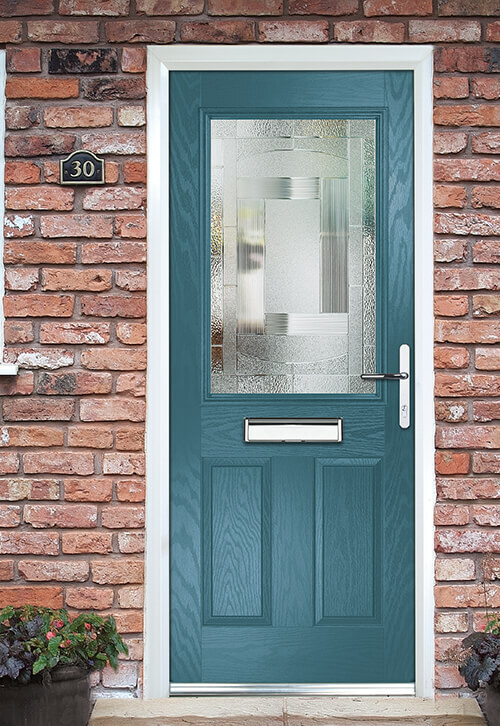 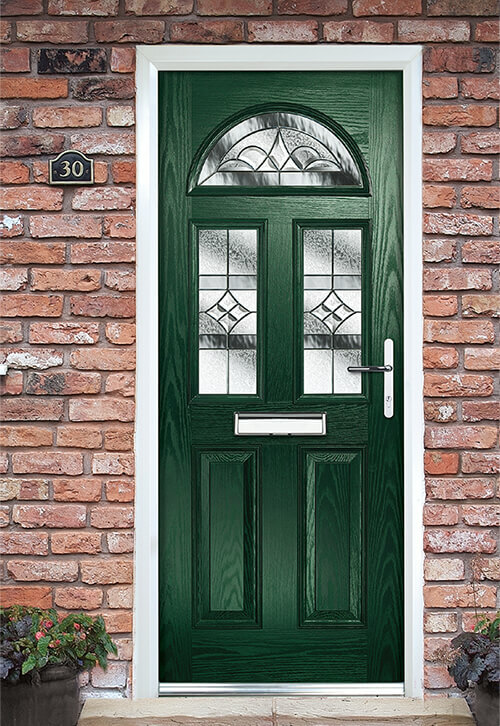 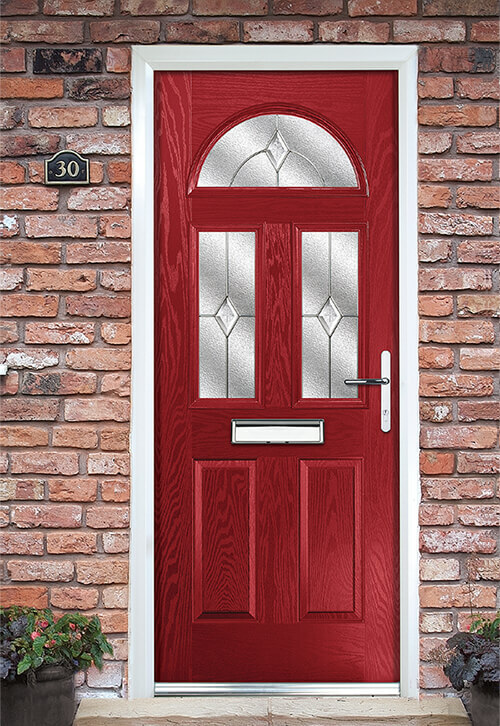 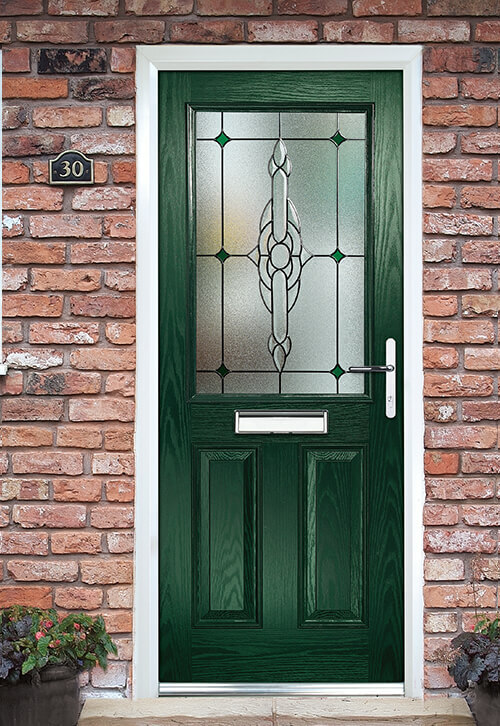 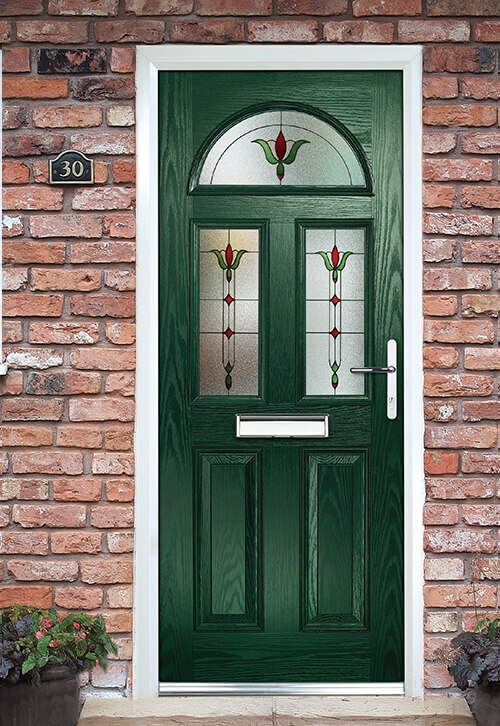 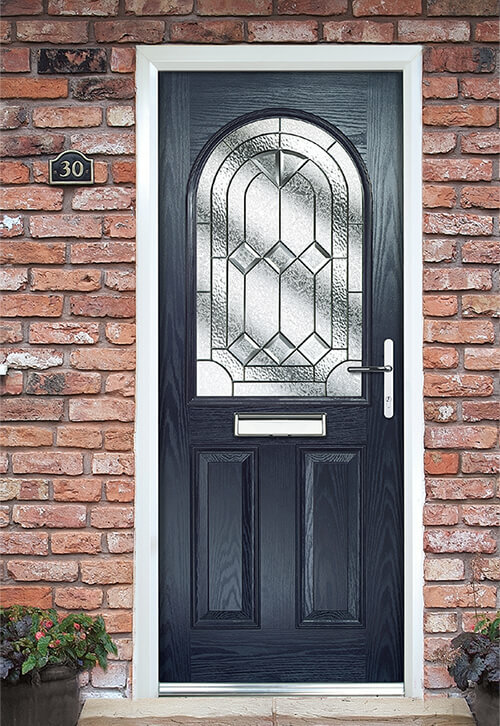 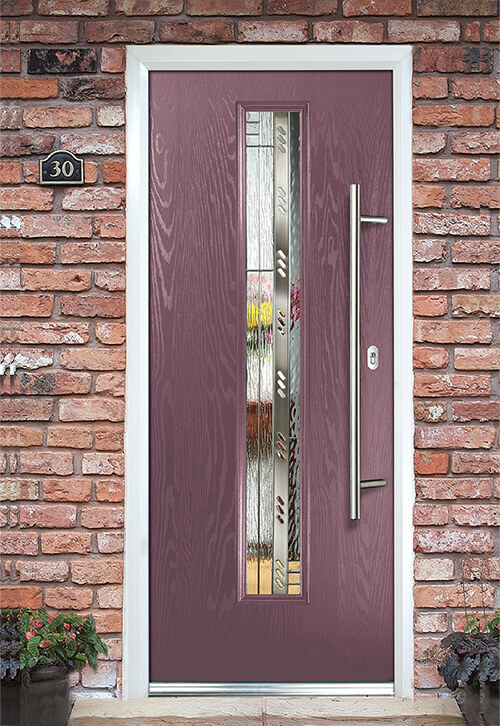 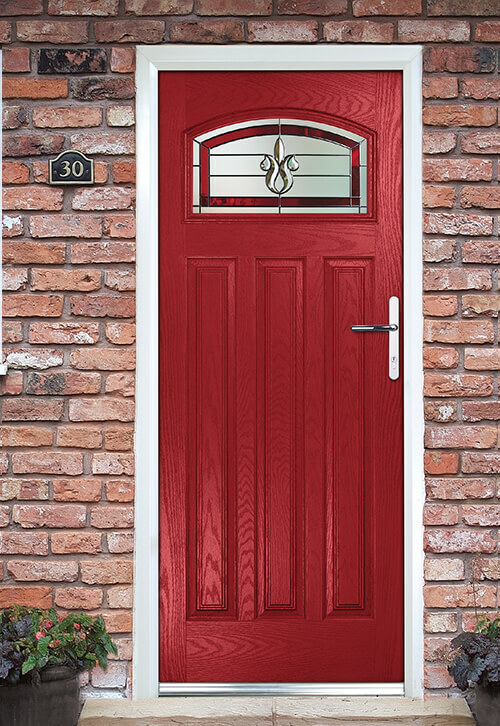 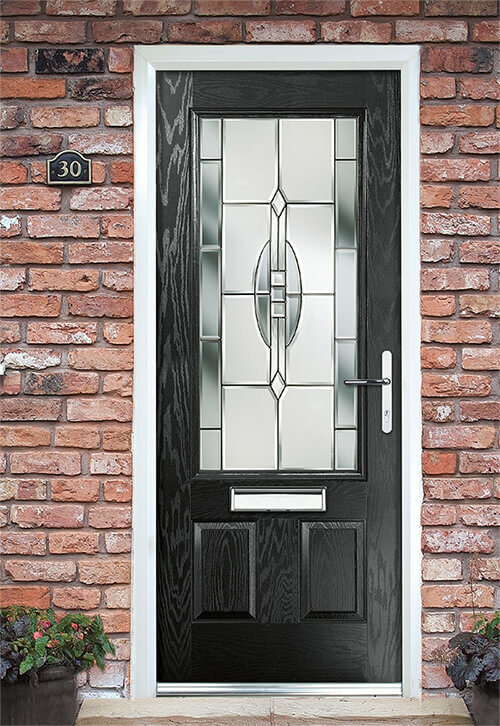 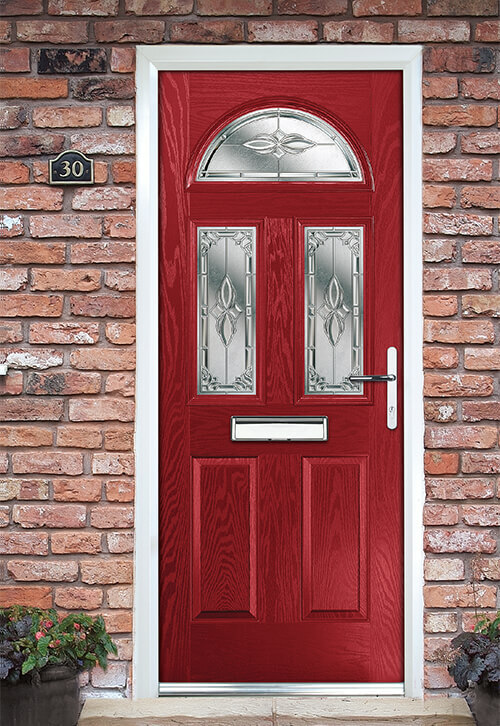 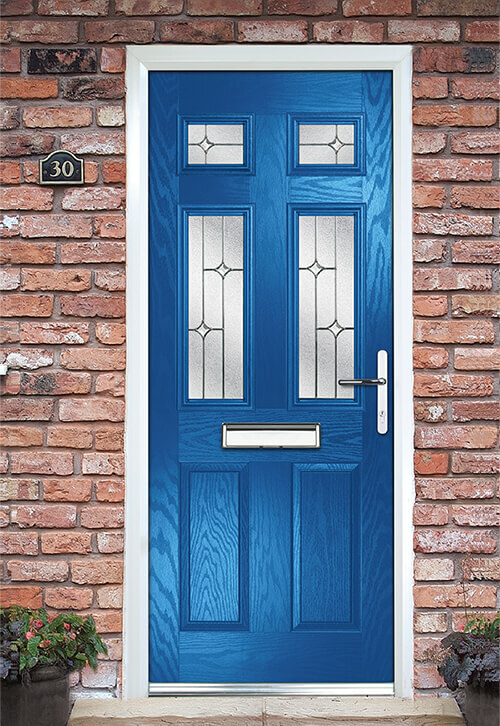 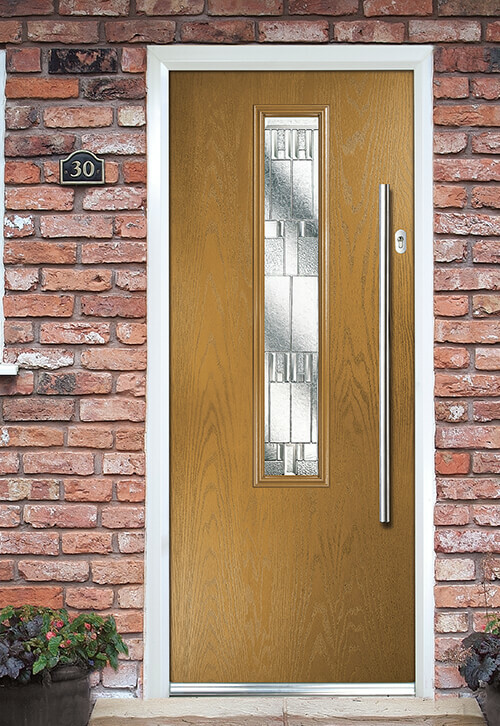 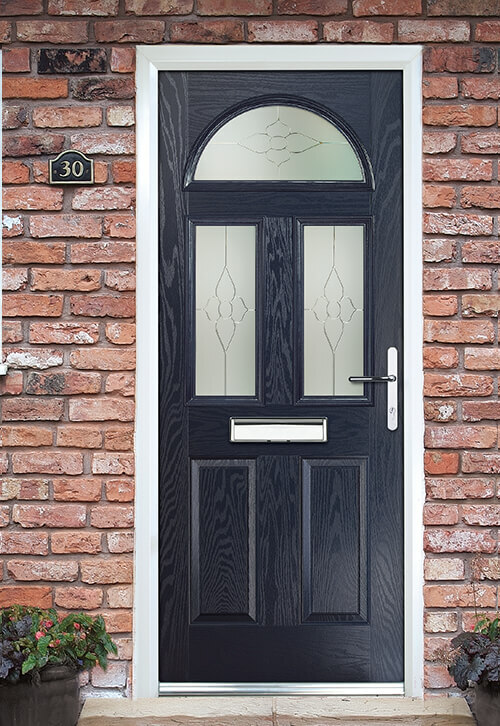 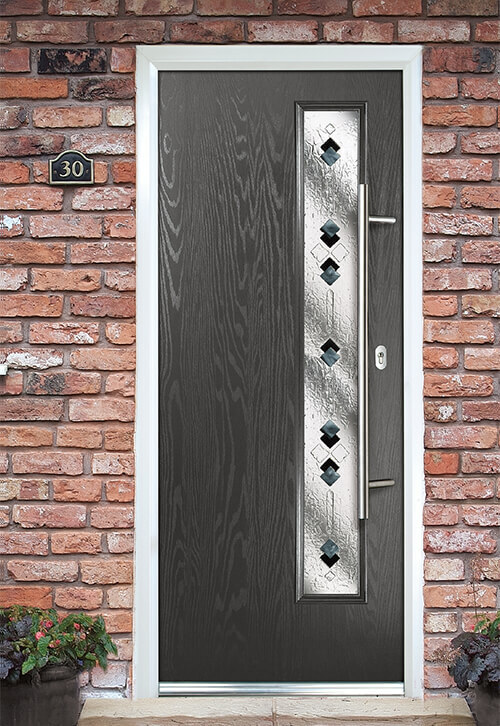 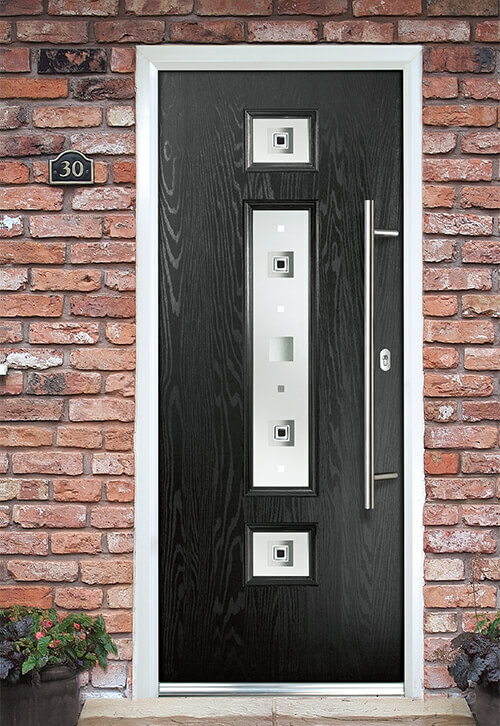 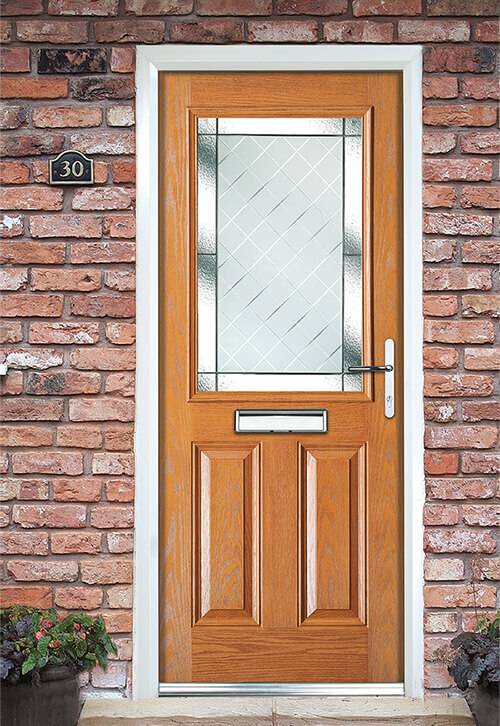 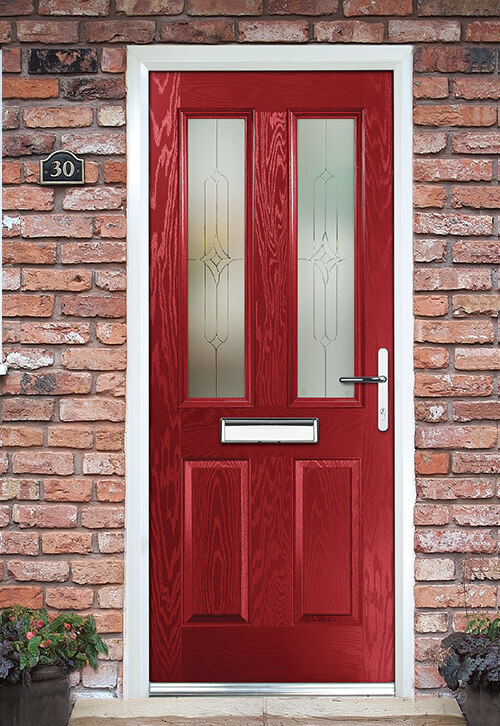 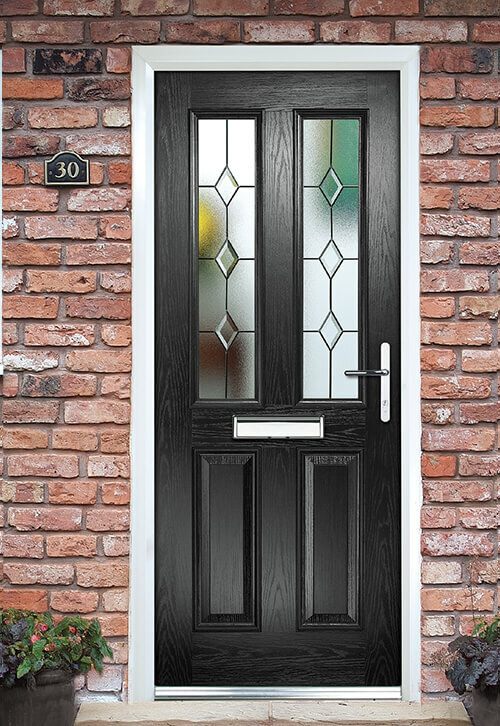 Open up our online door designer to explore our full decorative door glass range in a variety of composite GRP door styles. 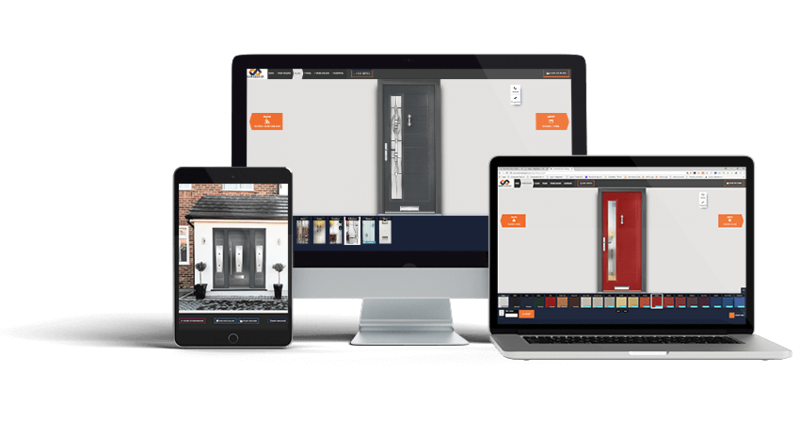 As part of our extended marketing support we also offer a branded version of our online door visualizer solution to our customers, feel free to get in touch to find out more. 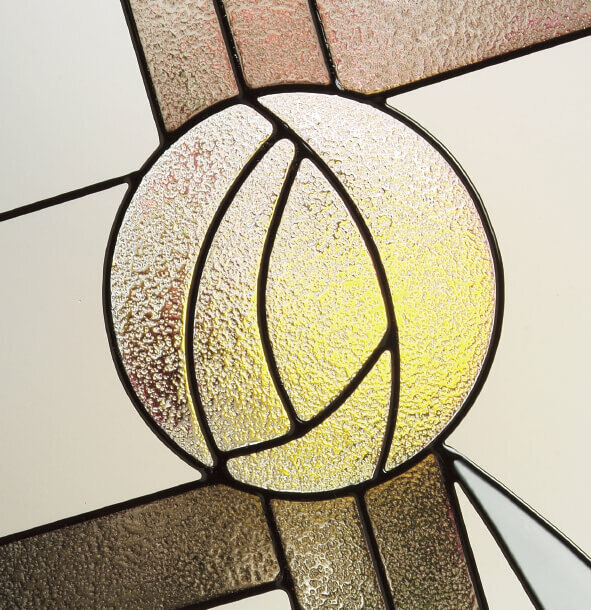 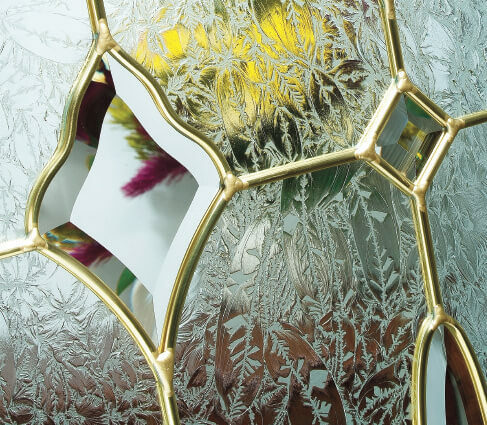 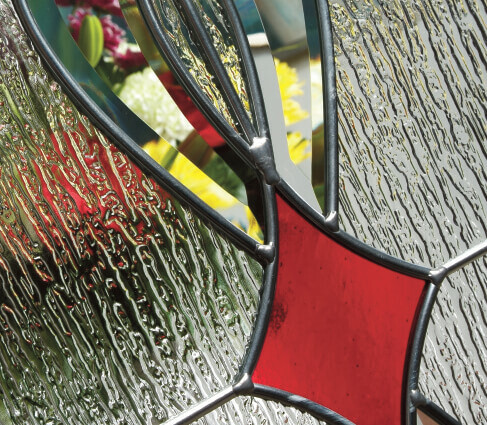 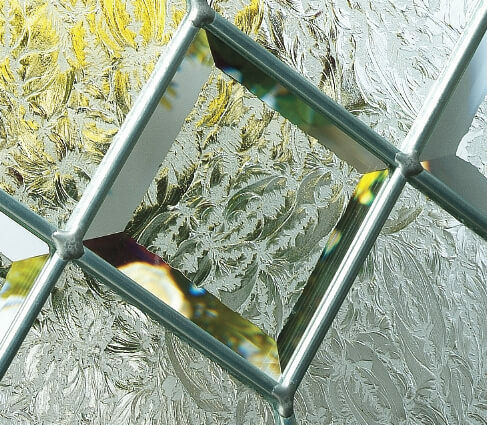 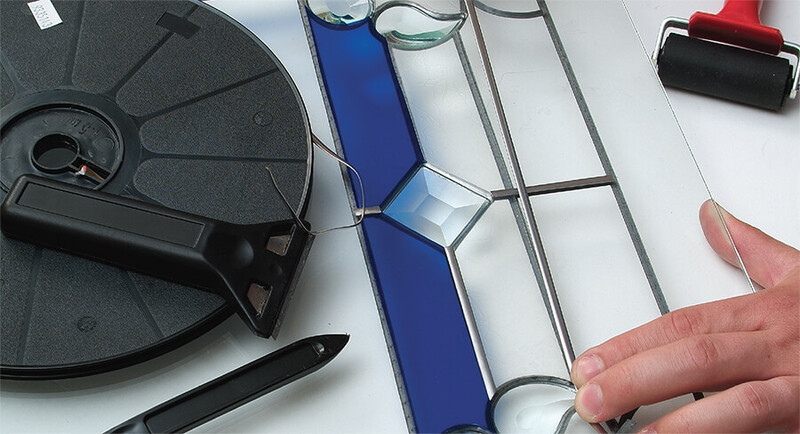 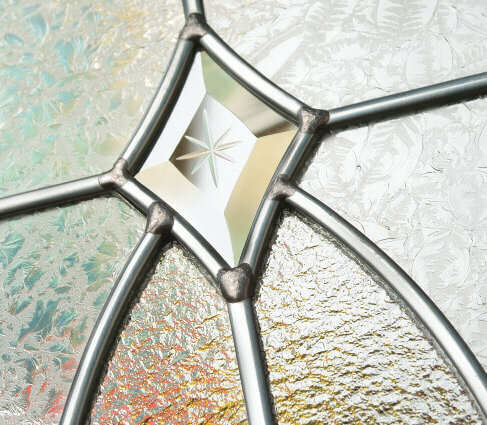 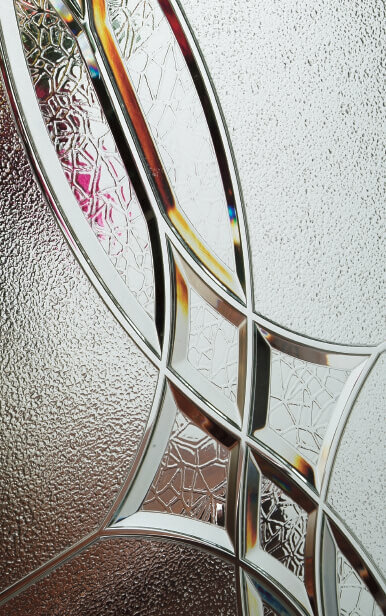 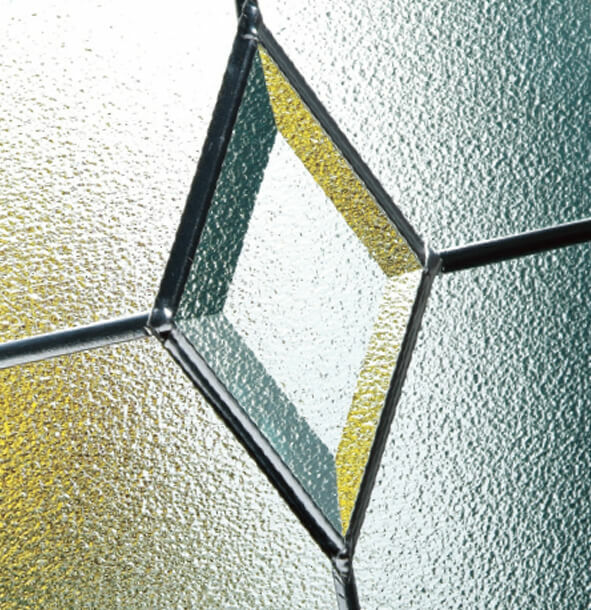 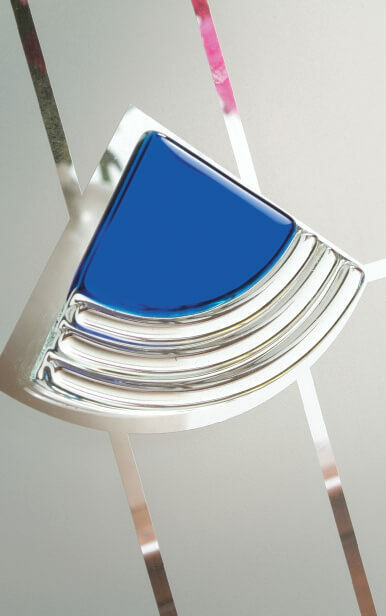 Our range of Signature triple glazed units are constructed using hand-cut bevels and beautifully textured glass pieces, which are assembled using traditional stained glass methods into zinc or brass cames. 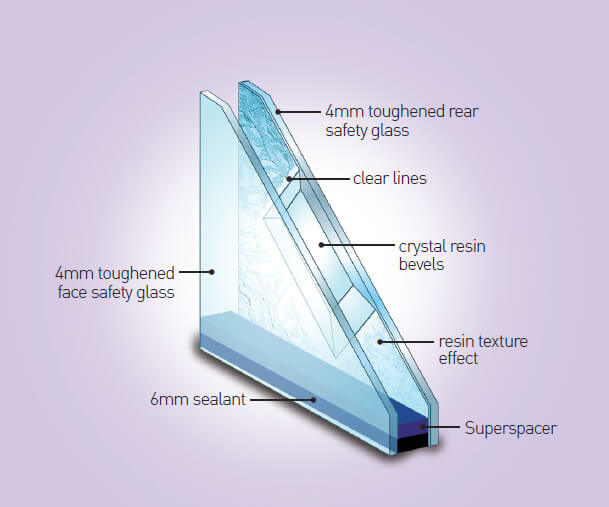 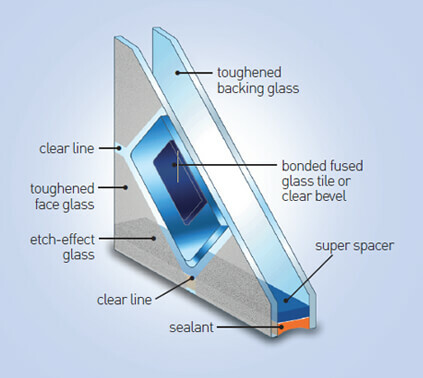 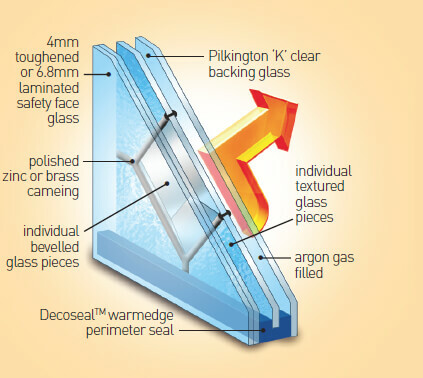 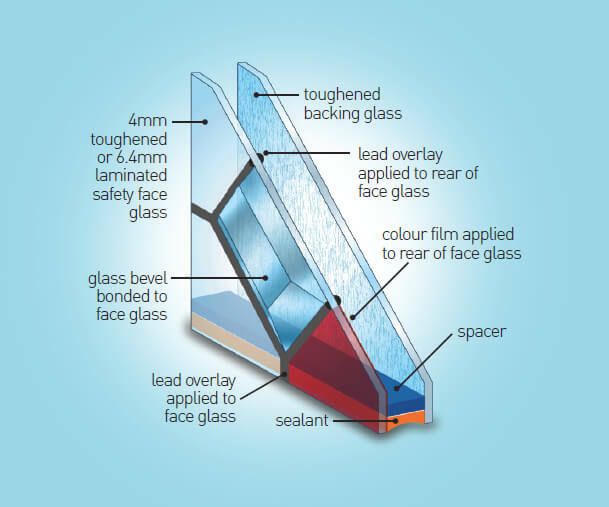 The decorative glass is then encapsulated between two pieces of tempered safety glass to give excellent thermal and sound insulation with the added benefit of an easy to clean, smooth surface. 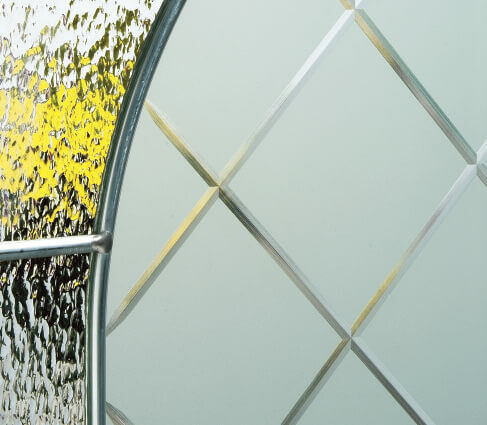 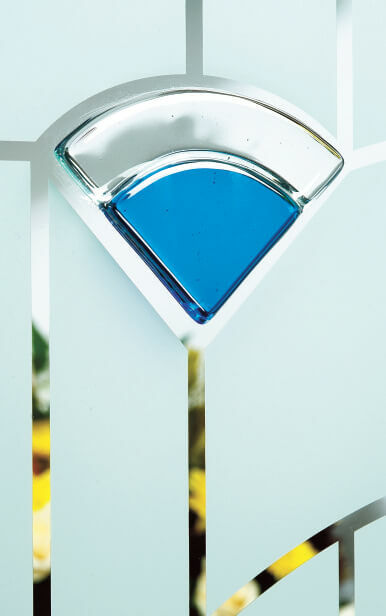 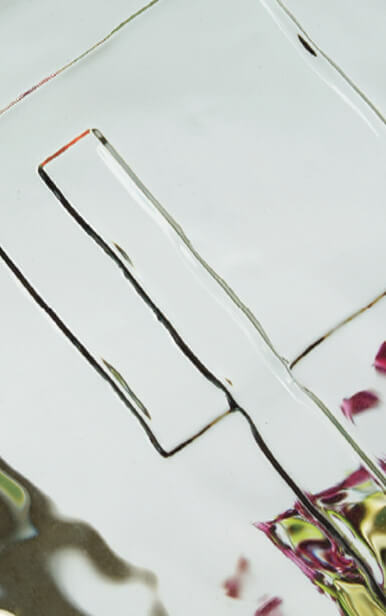 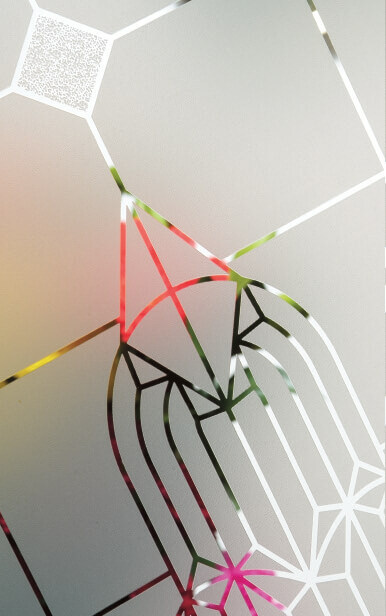 Our range of Etch-effect and Fusion designs combine a simple etched glass effect with either traditional hand cut glass bevelled glass or truly stunning fused glass elements. 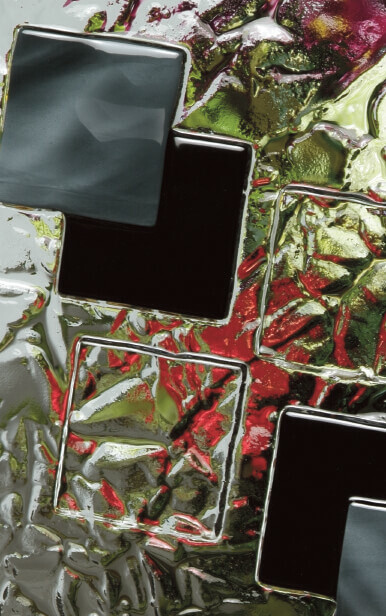 These are bonded to the surface to provide a 3-dimensional effect that can not only be seen, but felt*. 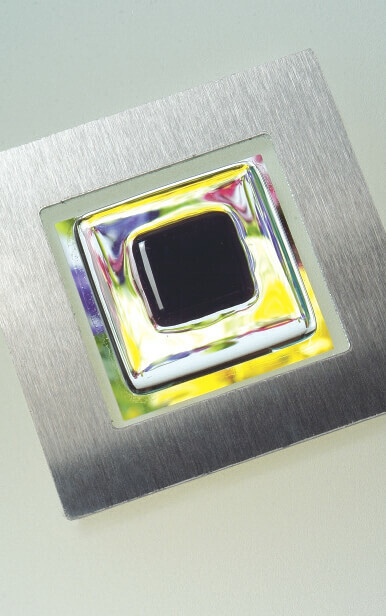 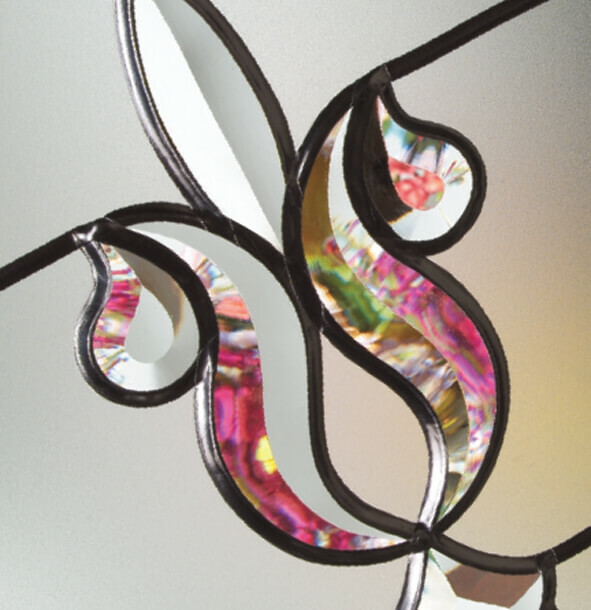 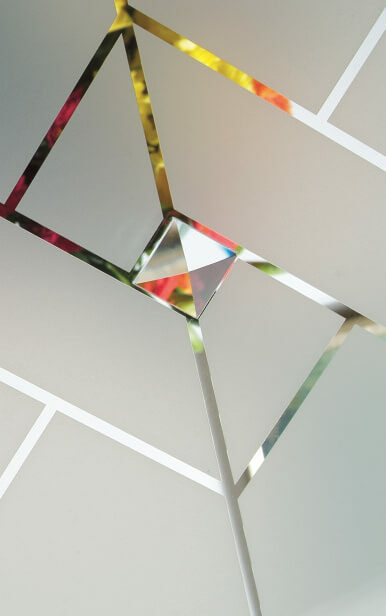 These ranges use the most up-to-date techniques and finest materials to produce designs that are simple, yet refract light beautifully, to create a focal point to your entranceway. 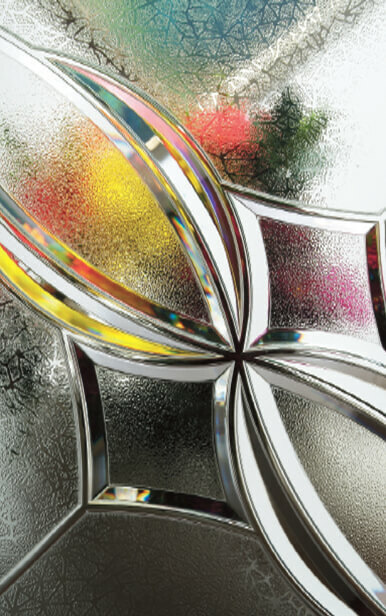 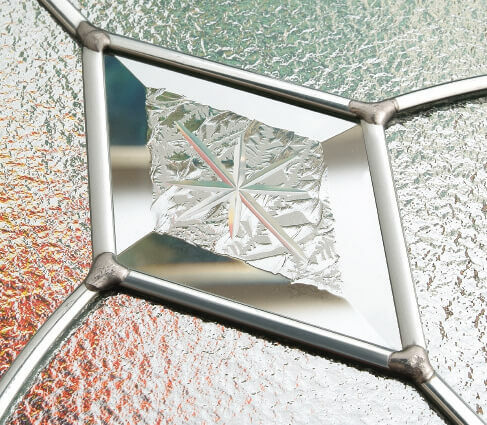 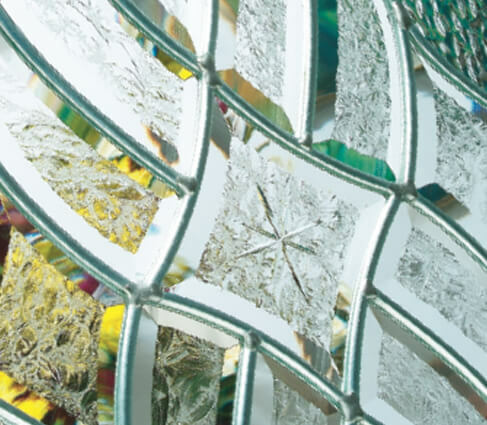 Our range of Crystal Art designs are manufactured using a highly advanced multi-patented technology that allows us to create incredibly detailed bevelled effect designs that would be impossible with traditional glass decoration techniques. 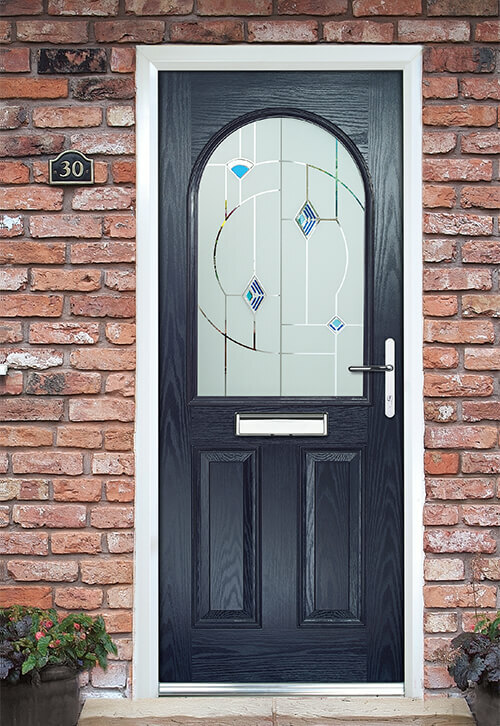 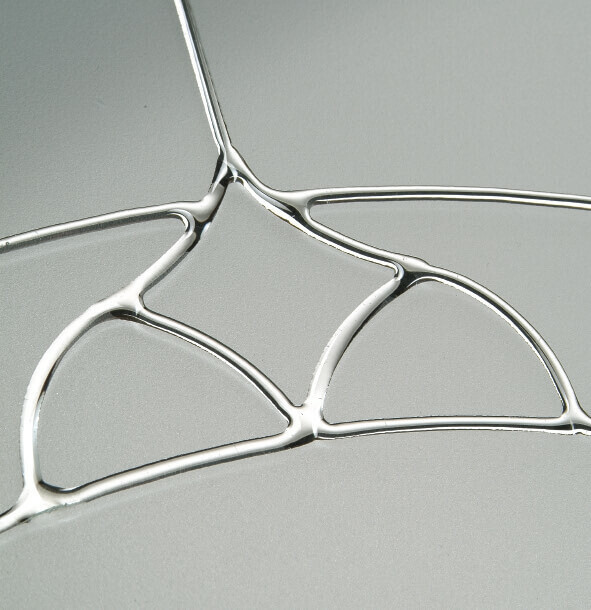 The advanced resin system we use to create these stunning range of designs provide functionality as well as decoration with sound insulation and breakthrough resistance properties that are unsurpassed. 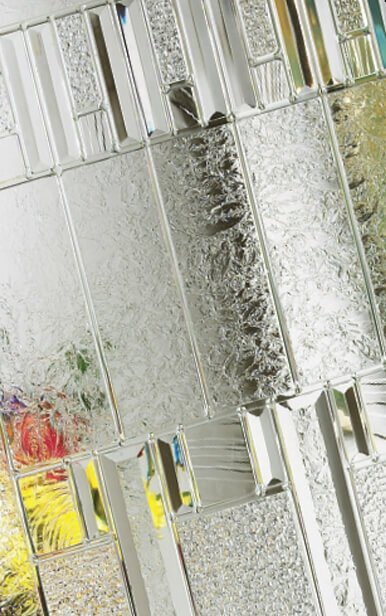 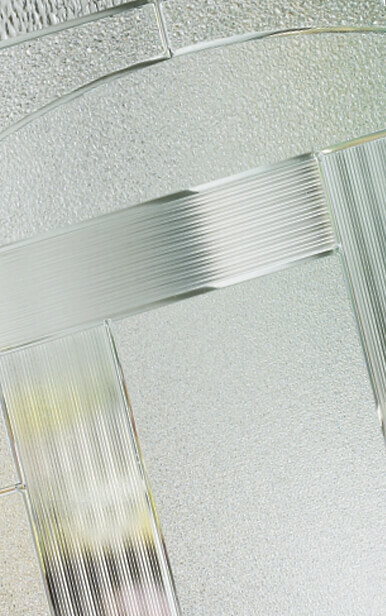 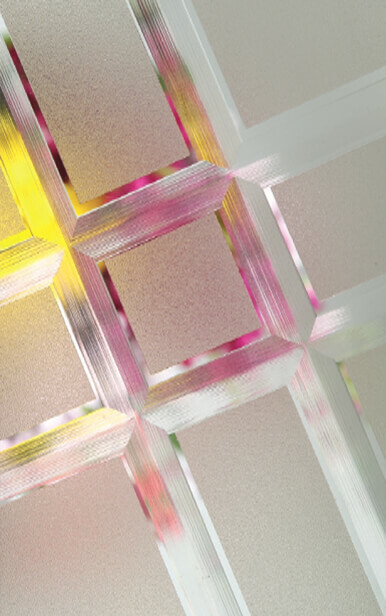 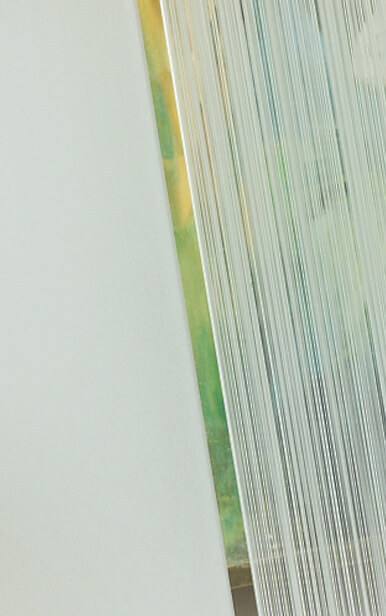 Our range of Overlay designs incorporate genuine lead strips, handmade coloured effect films and handcrafted bevelled glass to create 21st century decorative glass. 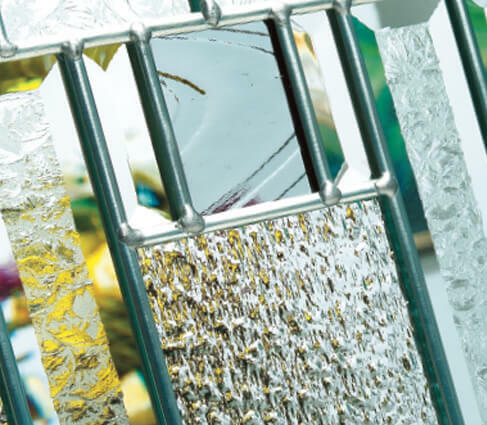 All the decorative elements are on the outer pane of tempered safety glass and you can choose from a wide range a of Pilkington texture glass options for the inner pane to give varying levels of privacy. 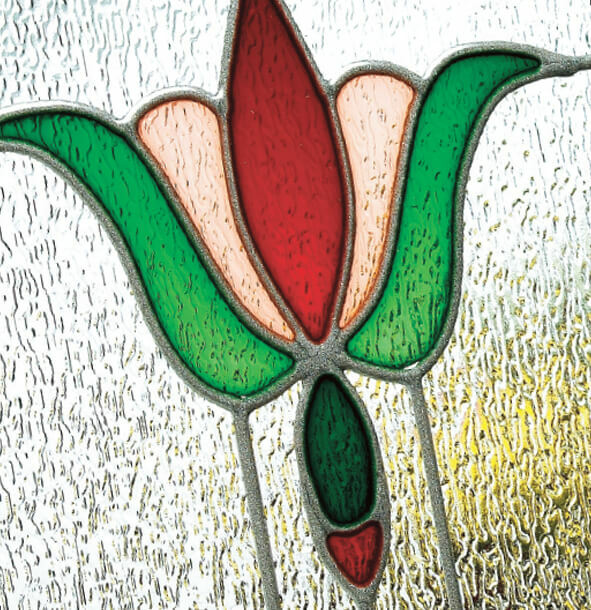 Our range of Resin and Satin Art designs are manufactured using state-of-the-art resin dispensing equipment to create the outline, the colours are then hand painted. 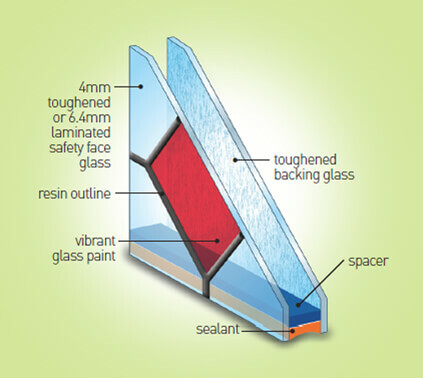 The Resins offer an alternative to lead profiles and create much finer lines. 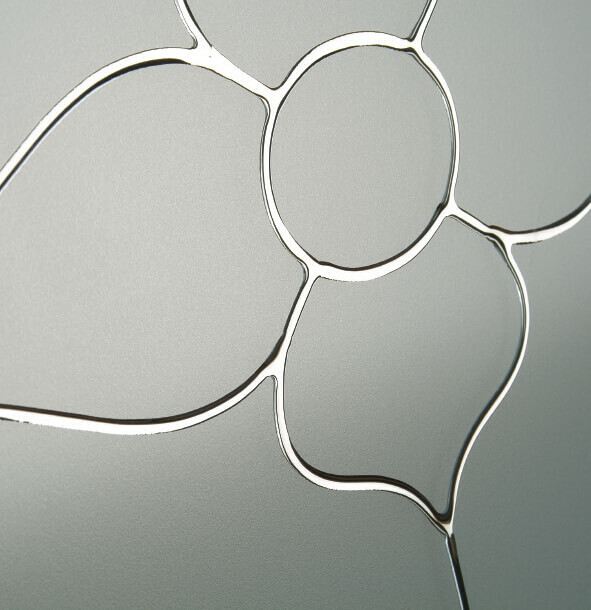 Our Satin Art designs use clear resin as a contrast to the subtle etched glass to create a modern and striking effect, similar to brilliant cutting.